Seventeen-year-old Pru Palmer lives with her twin sisters, Grace and Blythe, and their father, Rick, on the outskirts of an isolated mining community. The Palmers are doomsday preppers. They have a bunker filled with non-perishable food and a year's worth of water. One day while Rick is at the mine, the power goes out. At the Palmers' house, and in the town. All communication is cut. No one knows why. It doesn't take long for everything to unravel. In town, supplies run out and people get desperate. The sisters decide to keep their bunker a secret. The world is different; the rules are different. Survival is everything, and family comes first. 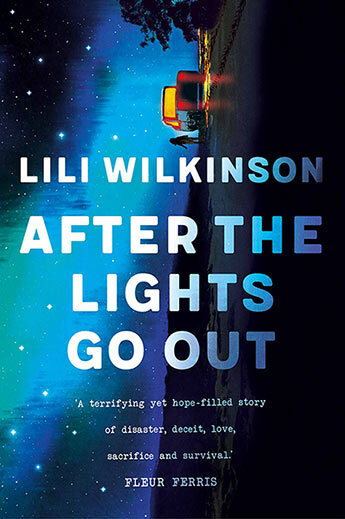 Lili Wilkinson is the award-winning author of eleven YA novels including The Boundless Sublime, Green Valentine, Pink and Scatterheart. After studying Creative Arts at the University of Melbourne, Lili established the insideadog.com.au website, the Inky Awards and the Inkys Creative Reading Prize at the Centre for Youth Literature, State Library of Victoria. She has a PhD in Creative Writing, and lives in Melbourne with her husband, son, dog and three chickens.